Venous thromboembolism (VTE) complicates approximately 1 to 2 of 1,000 pregnancies, with pulmonary embolism (PE) being a leading cause of maternal mortality and deep vein thrombosis (DVT) an important cause of maternal morbidity. The main reason for the increased risk of thromboembolism in pregnancy is hypercoagulability, which has likely evolved to protect women from the bleeding challenges of miscarriage and childbirth. Women are at a 4- to 5-fold increased risk of thromboembolism during pregnancy and the postpartum period compared with when they are not pregnant. Eighty percent of the thromboembolic events in pregnancy are venous, with an incidence of 0.61 to 1.72 per 1000 pregnancies.Includes a history of thrombosis, inherited and acquired thrombophilia, maternal age greater than 35, certain medical conditions, and various complications of pregnancy and childbirth. Despite the increased risk of VTE during pregnancy and the postpartum period, most women do not require anticoagulation. The intensity of the anticoagulation will depend on the indication and the monitoring will depend on the intensity. At the time of delivery, anticoagulation should be manipulated to reduce the risk of bleeding complications while minimizing the risk of thrombosis. There are no large trials of anticoagulants in pregnancy, and recommendations are based on case series, extrapolations from nonpregnant patients and the opinion of experts. Nonetheless, anticoagulants are believed to improve the outcome of pregnancy for women who have, or have had, VTE. Corticosteroids, often referred to as steroid medications, contain man-made versions of the hormone cortisol. Corticosteroids are mainly used to relieve inflammation. Inflammation occurs when the immune system causes part of the body to become swollen, red and filled with fluid in response to an infection. The immune system is the body’s natural defence against infection and illness. Steroids form an important component in pregnancy to reduce the inflammation and are used since very long time for different conditions in different forms. Though very few molecules are used since very long time. Now increase knowledge in uses of corticosteroids in pregnant women who suffer from asthma, skin diseases, rheumatoid arthritis etc. ICRI is the Country's premier Clinical Research Institute which is exclusively focused on specialized Clinical Research Programme. 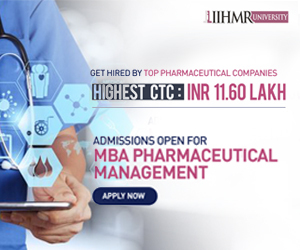 This premier institute is dedicated to promoting ethical research and high-quality Clinical Research education in India. 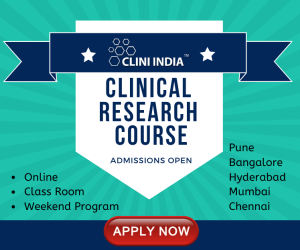 ICRI addresses the need for qualified and trained Clinical Research professionals by offering various programs in Clinical Research at its centre of excellence campuses in Ahmedabad, Bangalore, Hyderabad, New Delhi,and Mumbai .